Before elaborating on How not to retain in JC1, I would like to first inform you that each school has different requirements for retention / promotion to JC2 so please clarify with your teachers if you need to! For my case, the promotion criteria was at least 2 H2 passes. 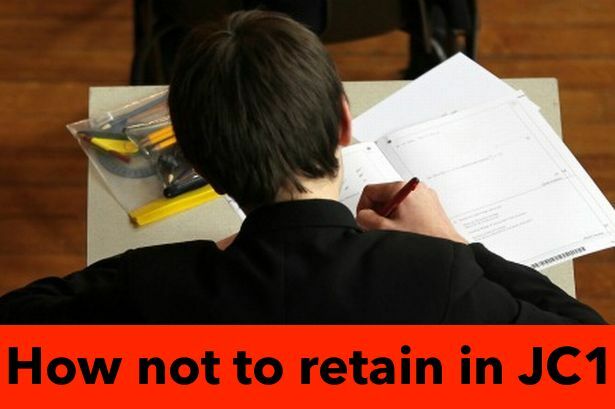 For the struggling JC1 student, here are 2 key tips for you on How not to retain in JC1. I would assume that for JC1 students who have left revision till the end would not have the time to go through the entire syllabus. As a last resort, you should at least understand and know the basics of your subjects. That is if you are aiming just to pass your minimum of 2 H2s to be promoted to JC2. It is probable that you may be able to pass at least 2 of your subjects by luck if you know the basics and improvise during the exams. Here is another disclaimer: It is always the optimal choice to do constant revision and not leave things to the end. But if you are already in that situation, trying to meet the minimum requirements will be your best bet. Many students insist on doing their notes even when they have limited time left to the Promos. If you are in the same situation, I would suggest for you to bypass this notes-making stage and head straight to practice. While doing practices, you will find that you may have to opportunity to clarify your doubts as well. Without application, your notes will just be plain pieces of paper. Hit two birds with one stone and just start practising if you find that there is not enough time left. This article is not pleasant to write because the ideal scenario is when you have been constantly doing your practices and are ready by the Promos. I hope you will be able to take this period as a learning experience and avoid any more of such situations in your second year! If you find that you require external guidance, feel free to contact us and let’s work towards an A for Econs together!